Focus groups are an excellent way to conduct research in a “quick hit” fashion, without the long-term commitment of an advisory board. 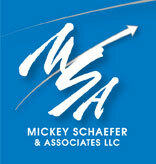 MSA specializes in focus group facilitation that gets to the heart of the issue at hand. In working closely with the client, MSA asks the client tough questions to determine the major objectives or outcomes the client has in mind, and then works together to develop the facilitation guide. A formal report is developed, complete with an Executive Summary, which can be used by the client to shape their organizational objectives and strategies.